“In the first appearance of Birdie he was a punk with a few bracelets with spikes. Capcom had the brilliant idea to redesign it, so he was the sound design perfect.I Wanted to show it as a perfect fighter street, an English punk. 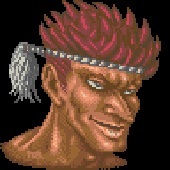 Street Fighter alpha 2 was the first street fighter I ever played, Sodom was my favourite character in that game. Birdie was actually my most hated one because I could never beat him. I always lost against him, But did find him very awesome aside from that (Dat hair). Years later I actually began to consider him a fond memory, I picked up the PSP Alpha game and quickly began to realise how awesome he was. Even now, Sodom and Birdie are my two favourite characters and the decision between them was hard, so I had let fate decide. I waited till one of the characters slots got filled twice and I picked the other one. So it came to be that I got to do Birdie, former 500 million trillion powers wrestler. The organiser of the project actually mentioned before the official announcement, that he was planning a SF tribute. I already started drawing Sodom and Birdie since then and got two rough concepts. It wasn’t utill several months that the tribute actually began. I was a bit worried that the artwork was bit outdated already, but decided to use it anyways. I actually think it turned out pretty decent. Birdie is one of the characters from the original Street Fighter I game who made a comeback in the Street Fighter Alpha series. 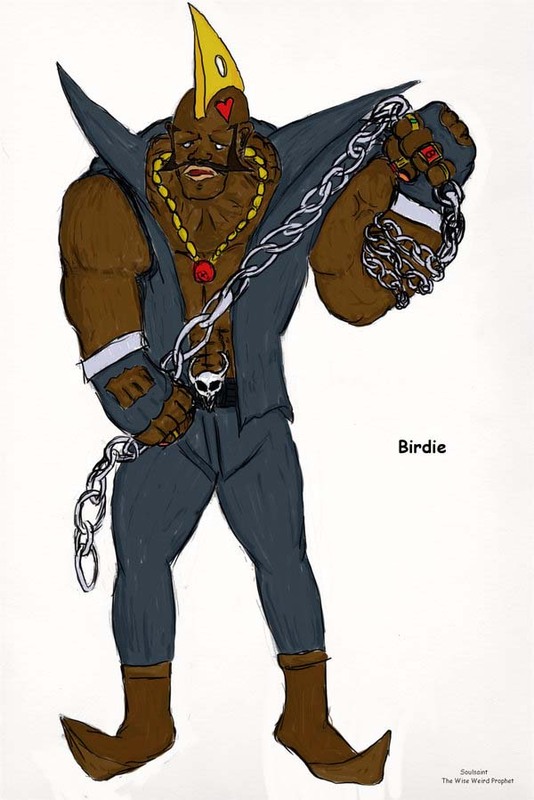 Birdie is the second british character in Street Fighter I together with Eagle who got named after a golf term. 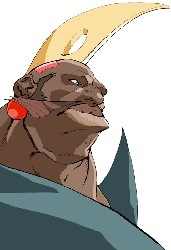 An interesting thing about Birdie is, that his character design was changed drastically. 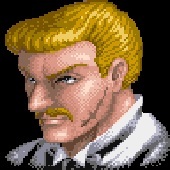 In SF I he resembled the stereotype british punkrocker and was very pale, while he looks much different in the Street Fighter Alpha games. 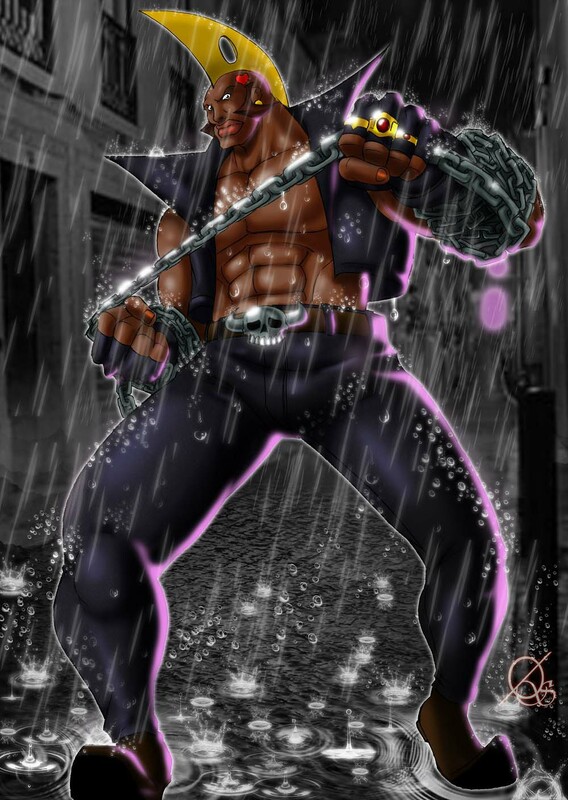 His fighting style is a mix of wrestling and brawling , he uses a chain for some moves. According to his official background story, he was a professional wrestler long before he joined the first Street Fighter tournament.